Checking email and stocks is child’s play for the business traveller with an iPhone. But which of those 100,000 apps can really make a difference on your trip? 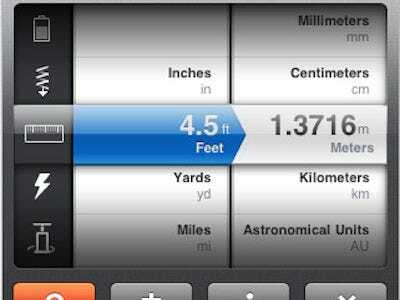 We have selected 11 apps for the savvy business traveller. Together they cost approximately $32. Charge them to your expense account. Why you need it: Even with the 3G network, you might have need for good old fashioned WiFi. Spots works offline (an important feature, if you think about it) by matching your location to a database of half a million worldwide hotspots. Wifi sites are grouped to display free locations and subscription hotspots like AT&T. 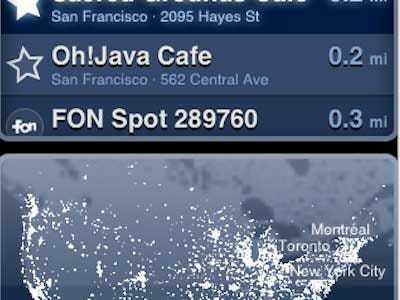 The app updates automatically with an ever growing list of hotspots. Why you need it: Who needs a travel agent? Take out your iPhone on the way to the airport and book the cheapest flight and a nice hotel room. This app taps into Kayak's aggregate search engine to find the best prices from various travel sites. 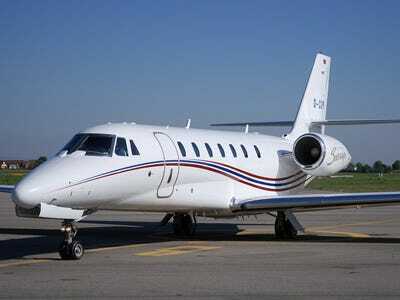 Use it to make immediate bookings or a direct call to the airline or hotel. 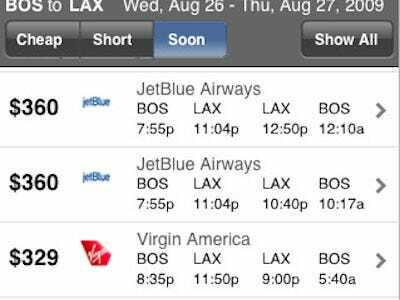 Why you need it: FlightTrack Pro provides all the information you need to catch the flight home. 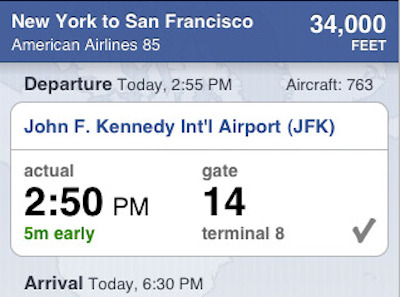 The app shows weather maps and full flight listings, and it stores multiple automatically-updating travel itineraries. The key feature is push notification of any alerts relating to your flight, including delays and weather warnings. 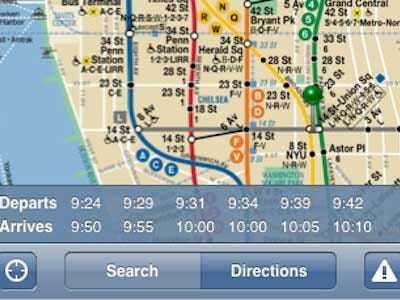 Why you need it: iTrans's subway guides are free for London, $1.99 for Chicago, and $3.99 for New York City. But whatever you pay, iTrans is the premier app of its kind on the iPhone. The app gives precise directions and time estimates from station to station, automatically updating for service advisories. It also works underground. So far it is available for major U.S. cities and London, with Paris in the works. Why you need it: Alternately, forget the subway and take a cab. 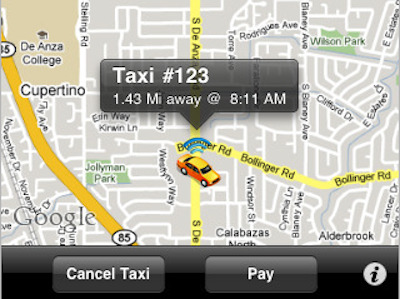 Taxi Magic connects the iPhone's GPS with local dispatch systems to send a taxi to your exact location at the tap of a button. Payment also works over the phone, via an online credit account. The app works properly in close to 30 major U.S. cities, with limited function around the U.S. and Canada. 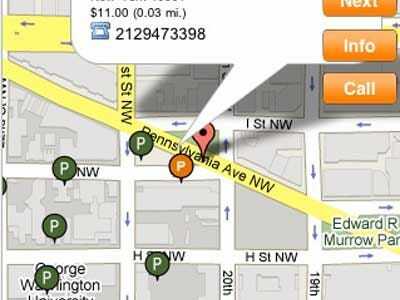 Why you need it: For travellers with a car, Spotasaurus is great for finding parking. The app matches the iPhone's current location to a database of information about parking garages to find the nearest and cheapest guaranteed parking. The app works in major cities around the world. Why you need it: Convert can convert almost anything, from dollars to pounds (with up-to-the-second rates), yards to kilometers, joules to calories, and even pixels to picas. The app looks great too. Half of the screen is taken up by a basic calculator. The other half features categories and units arranged on appealing iPhone-variety wheels. Why you need it: PDFs that require signatures are a pain, even outside of business trips. 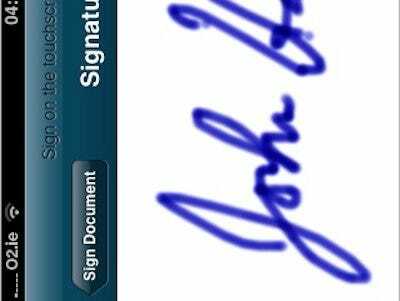 This app lets you make legally binding signatures right on your iPhone -- with your finger. If the signature doesn't look right the first time, just shake the phone to erase and try again. If the signature looks perfect, you can save and reuse it for all documents. Try this app for free, but unlimited signatures require a paid monthly plan. Why you need it: For perusal on your flight abroad, a compendium of historical, economical, and demographical info on all destinations. 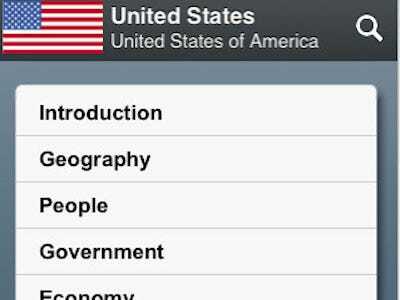 The World Factbook is updated regularly, and unlike various Wikipedia apps it can be used offline. Although it may be too dry for tourists, this app is great for businessmen, students, and other serious travellers. Why you need it: Leave your phone calls in the trusty hands of an automated receptionist. 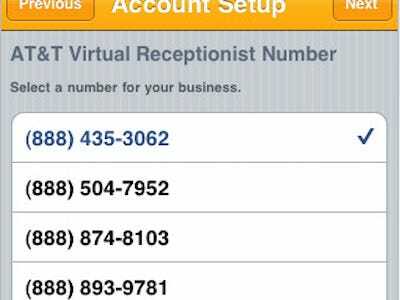 This app gives you a free second line -- attached to your main line -- for business phone calls and a business voicemail. The phone number has an 888 area code, which offers a way for clients to call you without being charged for long distance. The second line is only good for 60 minutes, however, and then it carries an additional fee. 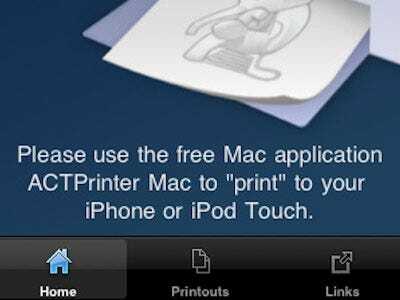 Why you need it: Before your trip, use ACTPrinter to 'print' documents from your Mac to your iPhone. Digital documents are easier to carry, simple to email, and good for the environment. The app even works for boarding passes and electronic tickets, which can be scanned directly from the screen.